Data centers are at the heart of our businesses, powering the technology that we use on a daily basis to conduct transactions, share information, and stay connected. But what happens when the power goes down at the data center due to natural or man-made disasters? To minimize the impact of power loss most companies implement an uninterruptible power supply (UPS) that kicks in when public power fails. Here is a quick comparison between two popular systems: Fixed Capacity versus N+1 (Parallel Redundant) systems. A fixed capacity UPS is commonly used in data centers throughout the U.S. (and is the most affordable option), but is often classified as the lowest “tier” when it comes to uninterruptible power supplies. For this system your IT department will calculate the base capacity required to power all of your equipment (a critical load projection, often referred to as “N”) then you will configure a UPS that provides exactly that much power. Unfortunately it is difficult to project the precise level of power that your system will require next month, next year, and even five or 10 years from now, because data center needs are constantly growing and changing. If you outgrow your fixed capacity system, you run the risk of losing valuable data. If you estimate too high you’ll pay more for a system that you don’t use. For that reason many companies today choose to go with modular or scalable systems so you can add capacity as your data center grows. The system leaves no room for error—if one module breaks down the load is often transferred to an unprotected power source. The entire system or parts of the system are left exposed during required maintenance, which could take several hours. With no redundancy built into the system there is limited protection in the event of a UPS failure. 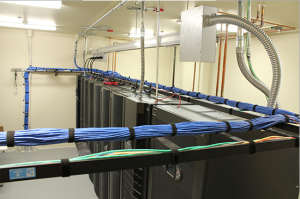 The N+1 (parallel redundant) system, provides a higher level of protection for your data center than fixed capacity. If “N” is the number of UPS modules required to protect all the essential systems in the event of a power failure, N+1 is a system that provides what you need, plus one more. Rather than having just a single large UPS module that will kick in when the power goes out, these systems are built using several smaller integrated modules that share the load evenly. If one module fails, or you need to take it offline for maintenance or other service, the rest of the system continues to operate as expected. In the event of one modular failure during an emergency, the other modules continue to support all your critical systems. This system can also be designed with the ability to expand as your power requirements grow. 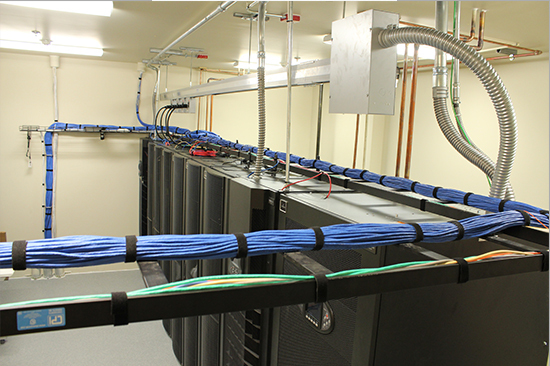 This entry was posted in Data Center Design, data center equipment, data center maintenance, Datacenter Design. Bookmark the permalink.